This article was originally posted on September 4, 2014 on the Mormon Coffee blog. Mormon Seventy B.H. Roberts attached a footnote to this statement, relating that George Q. Cannon said that Brigham Young said that Joseph Smith said he wanted to go through the translation again to perfect it “upon points of doctrine which the Lord had restrained him from giving in plainness and fullness” in 1833. Whether this reflects Joseph Smith’s true intentions or not, one verse that Joseph was not restrained from revising was Luke 10:22 (numbered as verse 23 in the Joseph Smith Translation). The LDS-printed edition of the Bible includes Joseph’s revision of this verse in a footnote, which gives credence to the understanding that this verse, at least, had been corrected “in plainness and fullness,” according to the inspiration from God that Joseph Smith claimed. All of these Bible translations faithfully convey the words of Jesus as He spoke of the unique relationship and deep intimacy shared between Himself and His Father. So rather than conveying deep intimacy between the Father and the Son (as the ancient Greek text does), Joseph Smith’s revision conveys sameness: the Father is the Son (and vice versa). 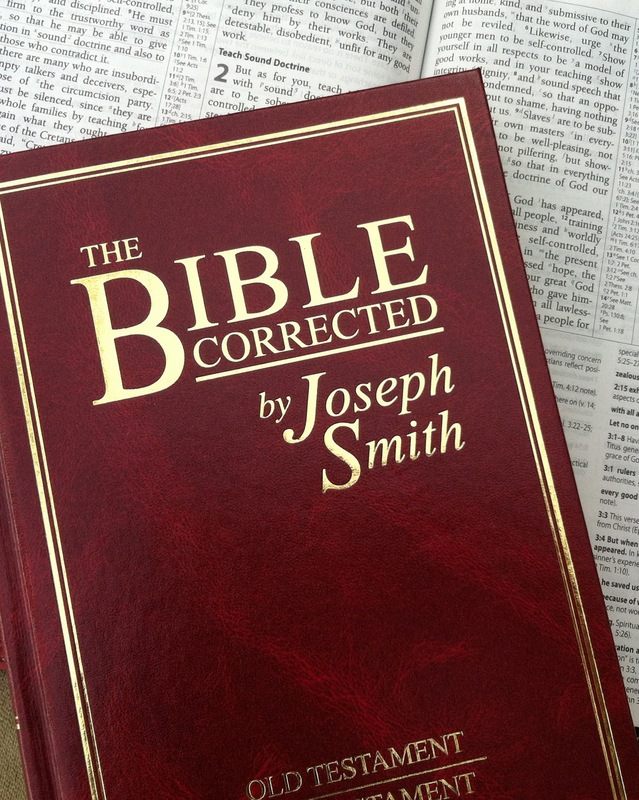 Joseph’s so-called correction of the biblical text presents the Father and the Son as one person. As Sandra Tanner pointed out in a recent article discussing the evolvement of the First Vision story and the development of the Mormon concept of God, Joseph’s revision of Luke 10:22/23 “hardly seems like a change one would make if ten years earlier the Father and Son had appeared to Smith as two separate individuals” (Sandra Tanner, “Grappling with the Past,” Salt Lake City Messenger, May 2014, 8). “I wish to declare I have always and in all congregations when I have preached on the subject of the Deity, it has been the plurality of Gods. It has been preached by the Elders for fifteen years. What it does sound like is that Joseph Smith changed his theology – and his story – and that neither Joseph nor his “translation” were inspired by an omniscient God after all.